We have an exciting event coming your way this Spring. On April 12th, Lovejoy Elementary will be hosting the 2nd Annual Campus Campout! This event will accomplish two things. First, it will provide a memorable experience for you and your child. Second, it will generate funds through business sponsors and a camp fee that will go back to the district and campus to replace state funding lost from the last state legislative session. If you know of a business that would be interested in sponsoring a portion of this event at any or all of the campuses, please contact the appropriate campus principal so they can get a sponsorship packet to them. 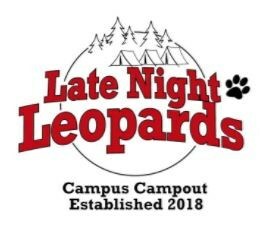 Here are a few FAQs to get you more acquainted with our “Late Night Leopards-Campus Camp Out”. 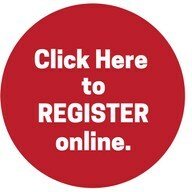 Registration will open in February 14, 2019. How much is it going to cost to camp? The camping fee will be $150 for an adult and a child and $25 for each additional child. There will be packages with additional perks available if you are interested. In order to camp, students must be enrolled at the campus they are camping. Does a parent have to attend with their child in order for them to camp or can they camp with another family? What if there is a financial concern and I’m not able to pay the camp fee? It is more important for your child to have a great experience than for the district to make $150. We will not turn away a child or family for financial reasons. What is included in the camp fee? Everything! Dinner, late night snack, drinks, breakfast, dance party, movie, and many, many more activities will be available and are included in the fee. Where does the money raised go? A portion of the money will go to the district and a portion will go back to the campus. We have a goal to raise $30,000 per campus through sponsorships and camp fees. The first $30,000 raised will go back to the district’s general operating budget to fund the programs that make Lovejoy ISD special. 100% of money raised above $30,000 will go directly back to the campus. *The Campus Campout is a district-wide fundraising initiative. Lovejoy ISD is committed to keep programs at our current level and the funds raised through sponsorships and campsite purchases will aid in that goal despite budget cuts we face. A portion of the cost to camp will be tax deductible. Sponsorship donations are 100% deductible.